This guide should help you create your first form with Freshmarketer. Click on Create Form button and a new form creation page opens wherein you can enter the necessary details to analyze your site’s online web forms. Provide the experiment name and add a hypothesis to the experiment. To track online forms, add Freshmarketer’s JS snippet to the tag of the page containing the form. 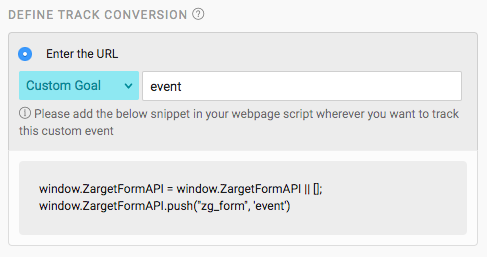 Check our code integration article for more information on adding snippet to your website. Form Loading Through URL: Enter the URL of the page containing the form to be loaded. And click on Load Form button. Now, list of forms contained in the given URL will be loaded with their respective form name, id and no of fields. In case your page has multiple forms, then you will have to select only one form to track it. Selecting a form displays all the fields involved in it. Manual Form Loading: Sometimes, there might be cases where the forms could not be loaded. Freshmarketer can track AJAX form submits (i.e.) Forms that confirm submissions dynamically without reloading the page or changing the URL of the web page. Freshmarketer provides you with an option to load online forms manually by giving the form name/id as an input value, instead of URL. Enter the form name/id in “Choose the form to track” section. For more information, have a look at our finding form name/id article. Now, forms pertaining to the mentioned form id/name will be loaded. NOTE: In multiple form page, a user is allowed to track only one form per page. Forms without form id/name are also loaded in Freshmarketer. Freshmarketer lets you track web forms by providing the URL of the page that is loaded immediately after a form is submitted. This helps users to track converted visitors and drop-off visitors on form conversion. Example: Thank you page and product summary page. Enter the URL of such page in the Track Conversion section. Add Freshmarketer’s JS snippet to the tag of the mentioned page. URL is - Use this option if your form conversion URL is static. We ignore query params in this URL. URL Starts with - Use this option if your form conversion URL is dynamic and starts with a particular string. URL Ends with - Use this option if your form conversion URL is dynamic and ends with a particular string. URL Contains - Use this option if your form conversion URL is dynamic and contains a particular string. REGEX - Use this option if your form conversion URL is dynamic and follows a specific pattern. To know more about REGEX- Regular expressions, read this article. For websites with no redirect page such as Thank you page, forms can be tracked by triggering an event. This method of tracking forms is employed when your form involves AJAX request that loads elements dynamically, without any change in the URL. Choose Custom Goal in the Define Track Conversion section. Enter the name of an event and a snippet will appear. Now, add the snippet to the corresponding event to track your form. Example: Most of the forms come with a button to submit the data entered by the user. Providing the event associated to such buttons can track web forms. Custom event goal is essentially a call to the Freshmarketer JS snippet. This snippet identifies the event and eventually, the form is tracked. On setting any of the track conversion options, click on Launch Experiment button. Form reports can be viewed once the data is collected. A Report page with all the metrics will be displayed. A sample of a form report is shown above.